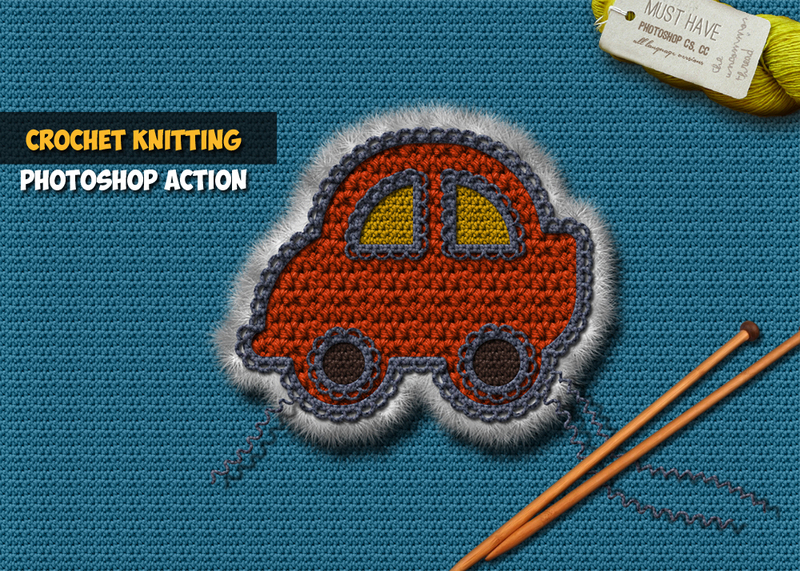 This Photoshop action will allow you to create a realistic crochet knitting effect from text, shapes and graphics. There are 2 main actions included plus 3 actions for customization purposes. 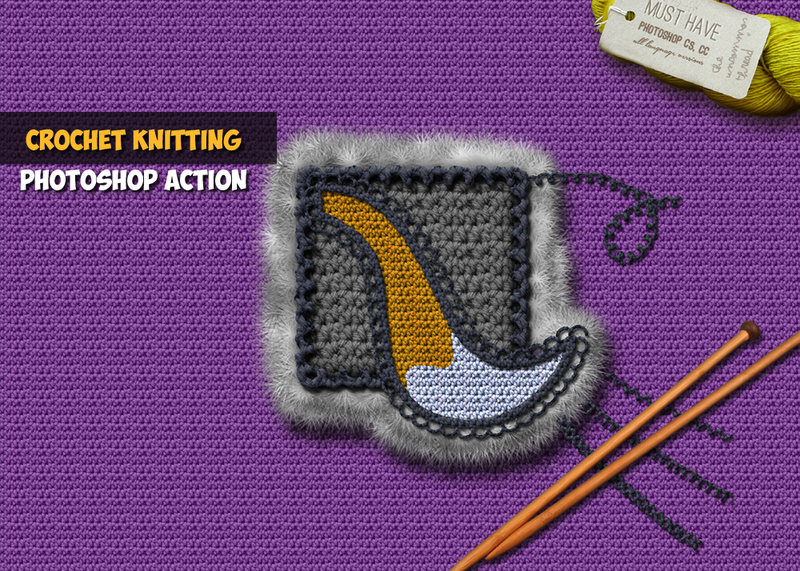 You can create unlimited effects because you can modify the crochet color, thread size, fur color etc. 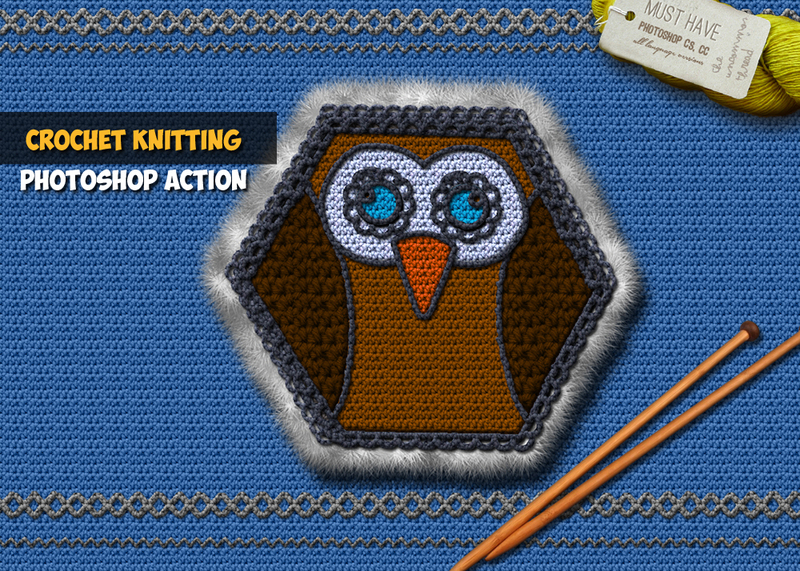 The result contains easy to edit layers with layers styles intact so that you can customize the effect.